From last few years with the change in the modern lifestyle, everyone is turning towards the internet in a hope to earn a living and being an entrepreneur. Earning a decent income is everyone’s dream and to turn it into a reality, people rush into the competitive world of business. As a result, either they fail or give up before reaching the mark. There are many best ways that may help you to earn money. 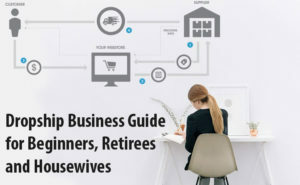 Recently, there is a huge crowd making money online with a business method, drop shipping being the latest trend going on. Drop shipping is a way of selling products to the customers without any need of buying the stock. The goods are directly shipped from the supplier to the customers. Today we will be discussing how to sell supplements on Amazon. Before proceeding with how to sell supplements on Amazon, let us make you clear with the drop shipping business model. You might be having a lot of questions regarding what exactly the drop shipping is. Does it really work? 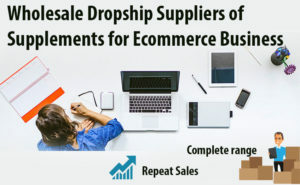 What are the benefits of a drop shipping business and why is it so popular? Well, we will make you understand each and every phase of drop shipping and also step-by-step guide to sell supplements on Amazon. Drop shipping is a type of business model where a person can acquire the products without even buying them. Basically, you will be acting as a retailer without storing the inventory at your place. Someone else will do it for you. The orders you take are passed on to the suppliers. The suppliers are the ones who will ship your orders to your customers directly. If you have a limited finance and cannot afford to purchase the bulk product, or to rent a warehouse for storing the inventory, then drop shipping is just for you. 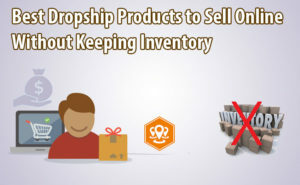 In drop shipping, you don’t even need a staff to organize or deal with the customers. This is what makes the drop shipping everyone’s first choice because a person can do the savings rather than paying for the services. You are the owner of the business as you own an online store and sell the products you own. Your earning is the difference between the price of product your supplier charges you and the price you charge to the customer. This process goes like when a customer makes an order, you take the payment and forward the same product to your supplier paying him the wholesale price. Now, the supplier ships the product to your customer fulfilling the order. The next question which comes up is that how to acquire the goods. Well, there are several wholesalers and manufacturers who run the drop ship programs allowing you to buy the products at a wholesale price. 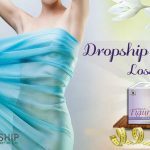 One such drop shipping program is also offered by wholesale drop shippers of herbal supplements. You can acquire the different organic and natural products they provide you by joining their drop shipping program. Herbal products are the best option to start your business as people are going organic nowadays. They prefer natural products more than the market which claims fake promises. 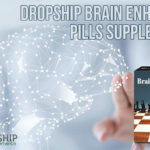 So, get started with joining the drop shipping program at DropshipHerbalSupplements.com and earn a good income. They offer you goods at reasonable price so that it becomes convenient for you to further sell your products at high prices making a profit. They have very liberal rules and regulations regarding selling you their products. Their prompt and fastest shipping services with delivering the quality products surely increase the traffic on your site. Once you get connected with the wholesale drop shippers for herbal supplements you will enjoy conducting the business with experimenting more and more. After owning the goods you can make your own website to sell your products. And if you are new to the market and don’t know much about the market strategies. Then along with selling your products on your website side by side, you can sell them on Amazon. When you get used to the drop shipping business and get the full knowledge of how the market operates you can experiment with more of the herbal products. Here are the benefits of selling supplements on Amazon. You don’t have to pay for a renting a warehouse because there is no need of keeping the stock with you. Some of the Amazon sellers opt to make their products FBA which means fulfilled by Amazon. In FBA, the suppliers you work with, ships the products to Amazon and then Amazon ships them to your customers. Amazon has millions of users and by opting to sell supplements on Amazon via drop shipping you will gain huge returns. You just have to sell the high-quality products at a right price to gain the higher sale rating and popularity for your supplements. This is a very effective way of connecting with new customers. You have an opportunity to promote your products on Amazon by running the ads if you gain sales and reputation from the customers. It all depends on you that how much you want to spend on advertising your products on Amazon. This surely increases the traffic to your page. You have to price your products according to a few factors. You should earn good margins in order to pay the monthly Amazon fees from the margins. These rates you decide should also profit you, so they should be higher than the price your supplier charges you. In addition to this, you have to get along with the competition as well. For the better rating, you have to impress your customers by giving them quality products at fair prices. You should also be good at shipping your goods faster for earning the higher ratings. This will attract more people towards your products as you will be having a higher rating. Not only the Amazon but you can also continue selling your products on your own website. This way you will gain the customers both the sides. Aim for being the best of both worlds and you won’t be facing any risk. You should keep it as an extra option to sell supplements on Amazon via drop shipping. Offer coupons for your products to encourage more customers to buy from you. Make sure that you remain profitable and can pay the monthly Amazon fees at the same time. These coupon discounts will drive more traffic to your products. Read on further if you want to gather up knowledge to sell supplements on Amazon via drop shipping. Here is a step-by-step guide to sell supplements on Amazon. Drop shipping is a very easy to handle e-commerce business. We advise you to do a little market research before stepping into the being a drop shipper. You shouldn’t move forward without selecting a niche. You should make sure which products are you interested in. You should select a niche that you understand very well and is in a public demand. 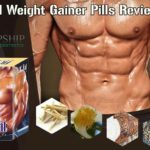 DropshipHerbalSupplements.com offers you the product you the rates with which you can generate profits with being competitive at the same time. People nowadays are switching to the herbal products, so what could be better than starting up with this as your niche. The second step of how to sell supplements on Amazon is to acquire the product you want. Find a reliable supplier that sells the product you chose as your niche. The one who offers a drop ship program and a variety of products to sell, join their drop ship program. Open a drop ship account and get ready to own the products. The third step is to select the products of your choice. If it is your first time, then select with easier products that you are familiar with. The drop ship supplier will give you images that you may use in order to promote your online inventory. This will help the customer in giving an idea of how the product looks. Create a seller account on Amazon and list the product you will be going to sell. You should properly describe the products and advertise them with your marketing skills. Write a unique description to attract traffic. This will help the customers to know your product better. Just like this, you can list your supplements on eBay and other online marketplaces too. Now start selling the products, you will be getting the orders on the basis of information you provided. Whenever you get an order, log in to your Dropship account and place the same order you got from the customer on Amazon seller account. Your supplier will now get into action by shipping and packaging the item. It’s a very easy and uncomplicated way of doing a business, isn’t it? Since you know how to sell supplements on Amazon now, read a step-by-step guide to sell supplements on Amazon. You are all set to get started with being an entrepreneur yourself. 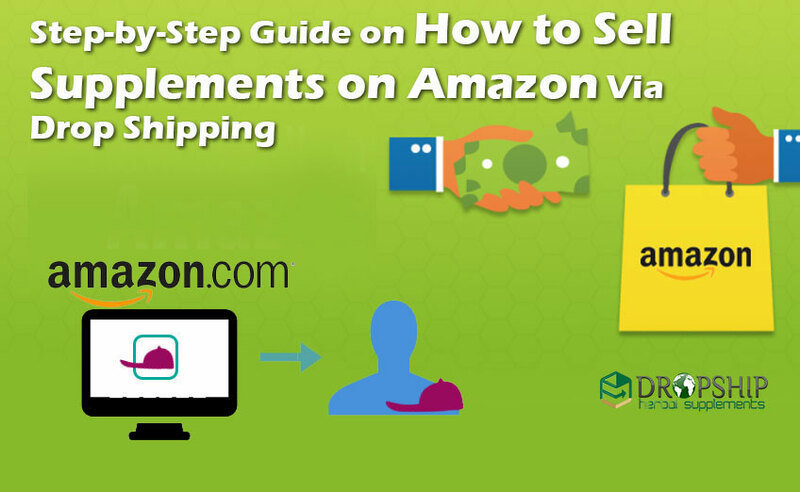 This step-by-step guide to sell supplements on Amazon will help you a lot in understanding the procedure how the Amazon works and how to sell supplements on Amazon. Choosing herbal supplements as your niche will be the right decision, as herbal products can never go wrong due to their natural qualities. Go for the herbal supplements and you will soon be called a successful entrepreneur!